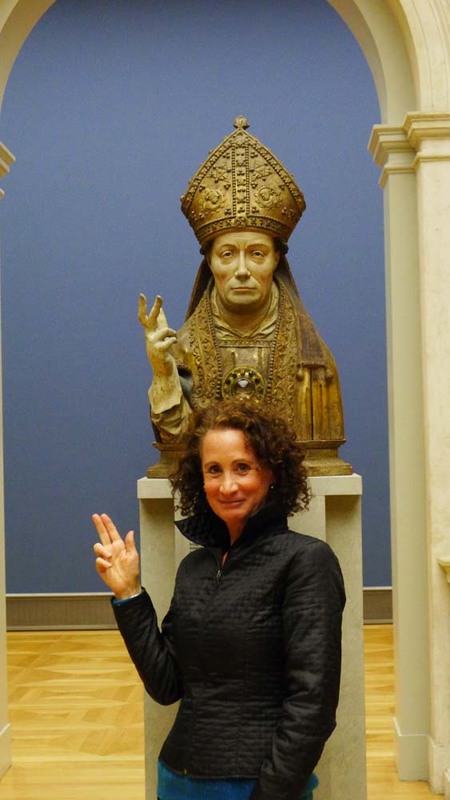 What’s the statute of limitations on stolen art? Practically every country has a complaint, and every country has different ownership laws. Turkey is screaming at Germany, “This is a revolution!” give back our 2nd Century BC Greek Pergamon Altar that the Ottoman Turks gave you 133 years ago! Isn’t it too late to get it back? Isn’t it too late to get back all that stuff Napoleon carted off to the Louvre? Don’t get me started on the thousands of victims looking for over 600,000 objects looted by Germany during WWII! For extra credit you can read about it at http://www.museum-security.org/ww2 or wait for George Clooney’s 2013 movie based on Robert M. Edsel’s book, “The Monuments Men: Allied Heroes, Nazi Thieves and the Greatest Treasure Hunt in History”. In the meantime, here’s a preview of what you’ll want to see in Berlin, as long as it’s still here in Berlin. Museum Island is an amazing complex of 5 museums built between 1844 and 1930 on an island in the Spree River in Mitte, central Berlin. 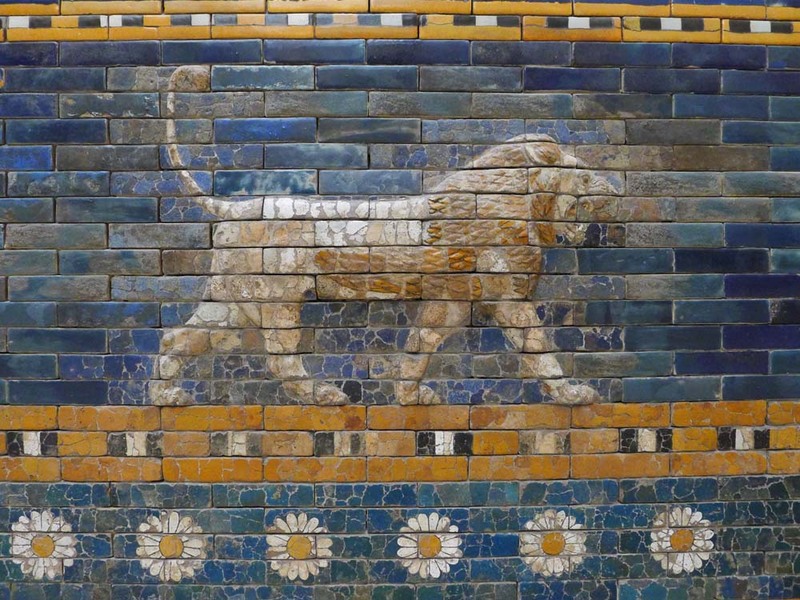 These museums: The Bode Museum, The Altes Nationalgalerie, The Altes Museum, The Neues Museum and the Pergamon Museum as a whole are a UNESCO World Heritage Site. Don’t even try to visit them all in one day even if the box office tries to sell you a one-day all museum pass. You will pass out! The Pergamon Museum was built in 1930 to house this immense altar excavated from an ancient Greek city located in modern day Bergama, Turkey. It was rescued from 19th century Turkish locals who were using the altar as a quarry and sometimes burning the stones for lime. 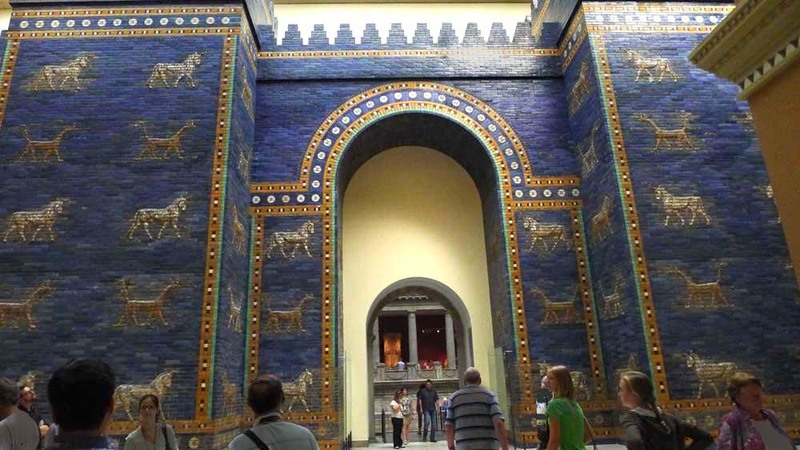 The Ishtar Gate was built by King Nebuchadnezzar II in 575 BC in Babylon and reconstructed inside the Pergamon Museum. It was excavated by a German team in 1902. The Ottomans were big on gift giving. 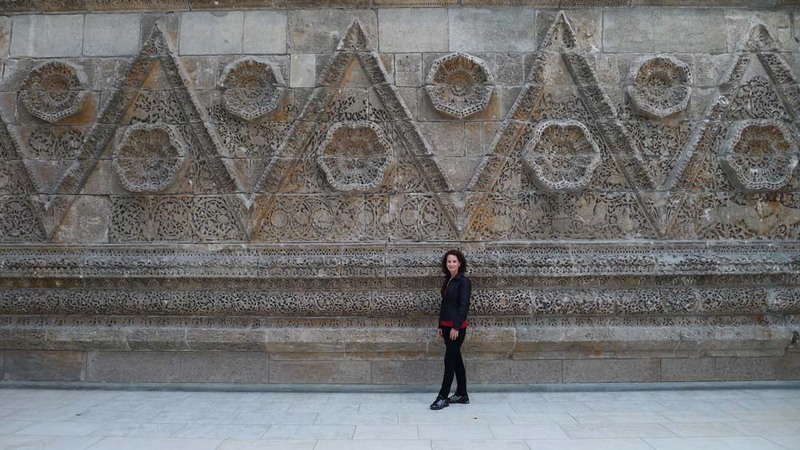 In 1903 Sultan Abdul-Hamid II gave this huge Mschatta Palace wall to Kaiser Friedrich Wilhelm II. Wonder what the card said? In 744 AD Poor King al Walid began to build his palace, but was murdered before it was finished. An earthquake destroyed the rest. Over at the Altes Museum, this Greek funerary lion was supposed to grant magical powers of protection from grave robbers. You can see how well that turned out! It was acquired in 1891. 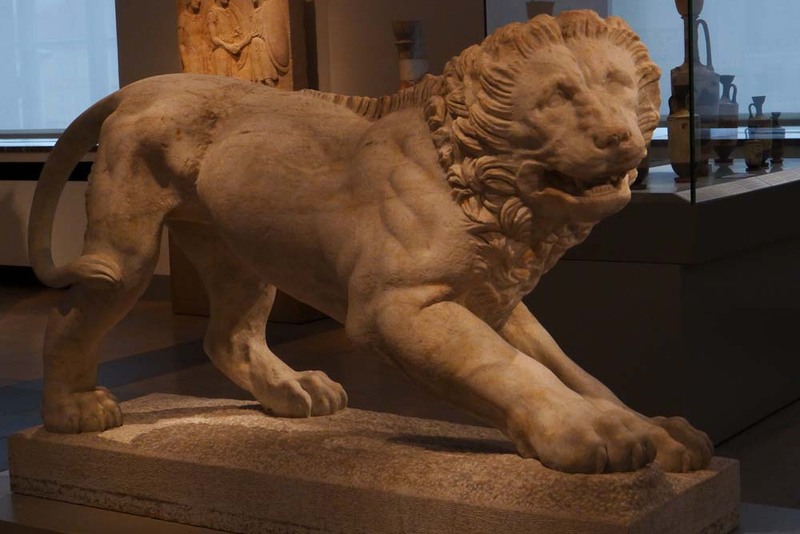 320 BC, Greece, Marble Lion. 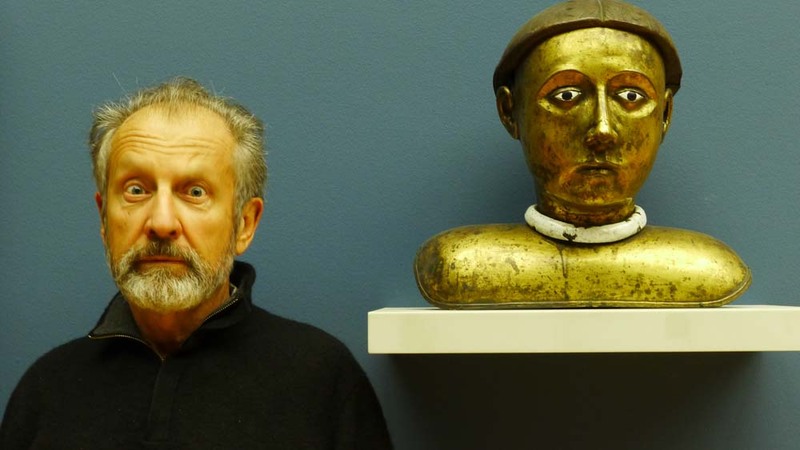 There’s an abundance of intimate possessions at the Bode Museum, especially reliquaries, vessels that often hold a purported body part of a Saint. Usually the shape of the reliquary is a clue for what’s inside it, but DNA tests may tell otherwise. One reliquary made in Sweden substituted a seal’s foot for a human foot. Hubertus Blume, 1515-20, Brussels. Bishop reliquary head. Bode Museum, Berlin. 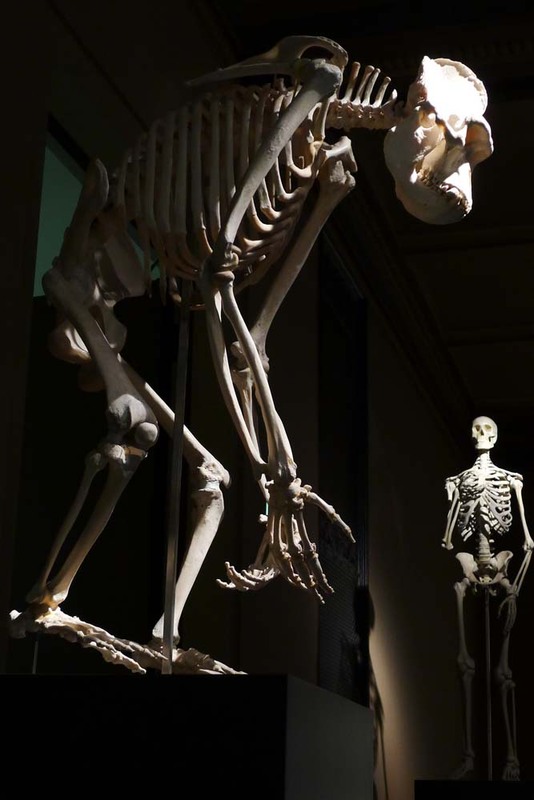 Over at the Ethnological Museum, Ethnologisches Museum, in Dahlem West Berlin you have a whole different set of ethical problems surrounding art collection from non-European cultures (see my blog post PARIS COLLECTS – Musée du Quai Branly). 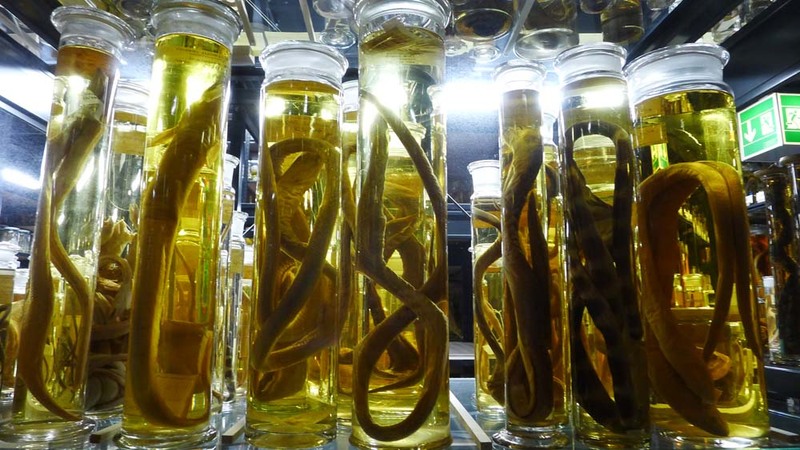 The Museum offers a thrilling exploration of exotic places you may never get to visit if the economy doesn’t recover soon. 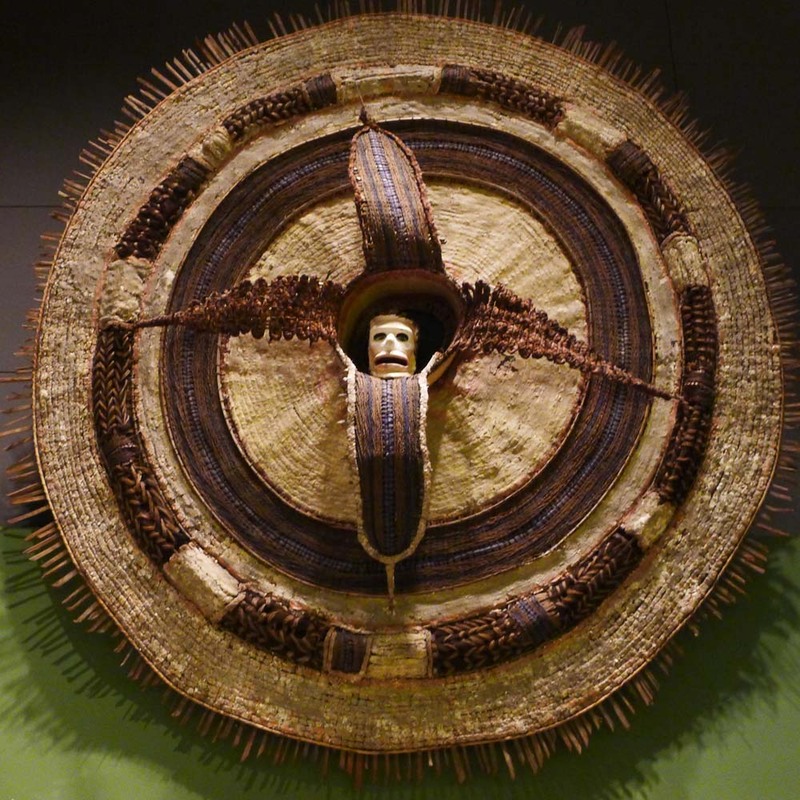 Sun mortuary sculpture with skull, New Ireland 1910 – that’s next door to Papua New Guinea. 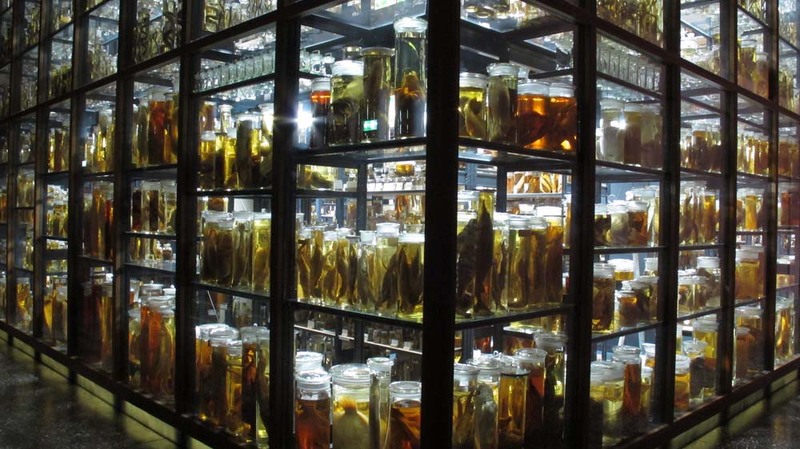 After viewing all the great loot on Museum Island and at the Ethnological Museum, it’s refreshing to visit the Natural History, Museum Museum für Naturkunde, filled with possessions no one wants back. However, you might lament this animal holocaust that went well beyond the bounds of scientific study. Below is The Wet Room. The name says it all. 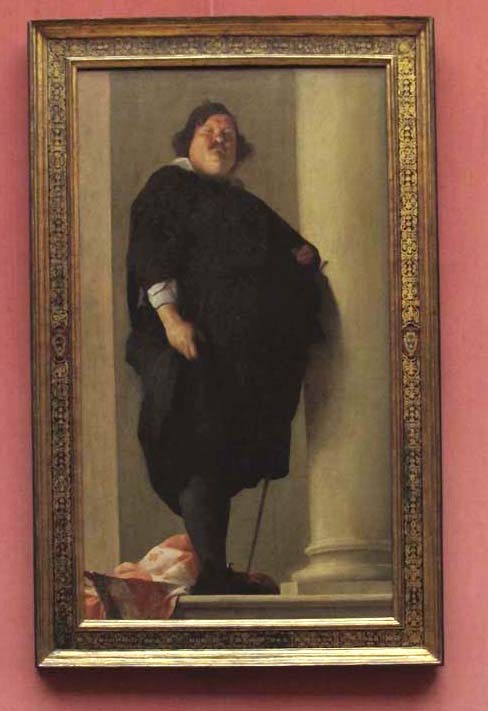 Charles Mellin, 1645, Portrait of a Gentleman, Gemäldegalerie, Berlin. 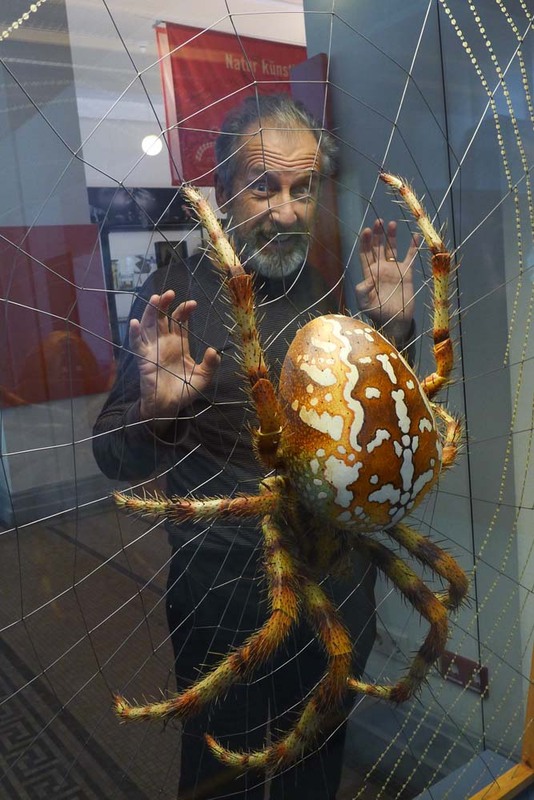 The big emphasis at the Natural History Museum is facing your fears! 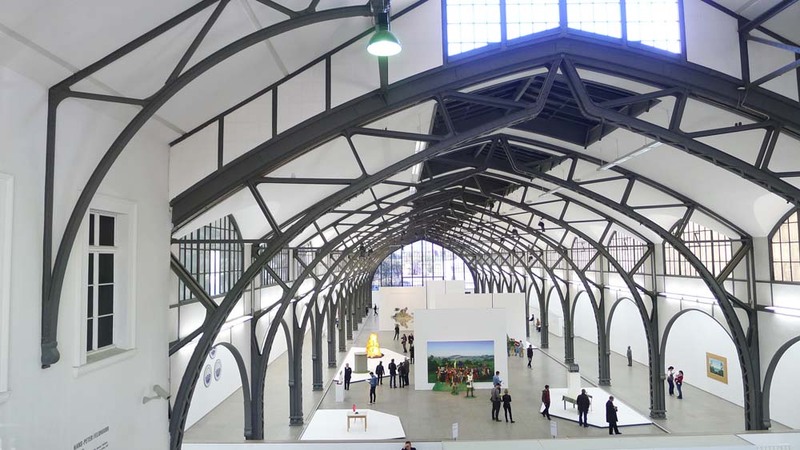 A world away in sensibility is the Hamburger Bahnhof , the museum of contemporary art. There’s plenty of controversy here, but none of it is over ownership of the art. 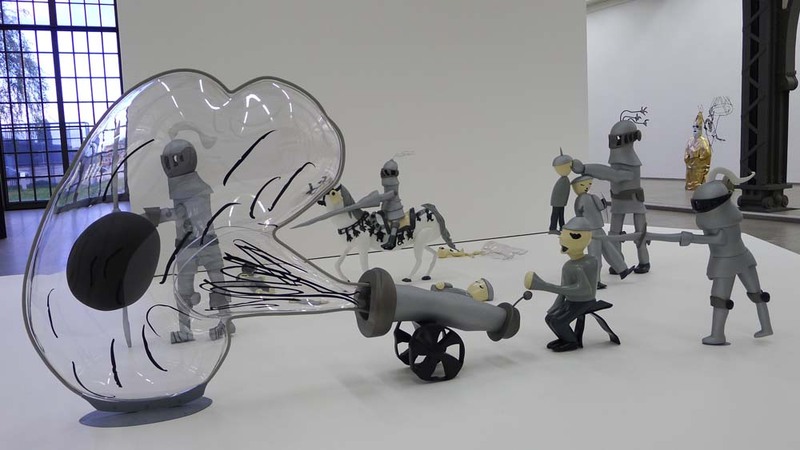 You’ve got six months left to jump on a jet to see the current exhibit: Martin Honert – Kinderkreuzzug (Children’s Crusade) October 7-April 2013. Martin Honert. “Knight’s Battle” 2003-4. 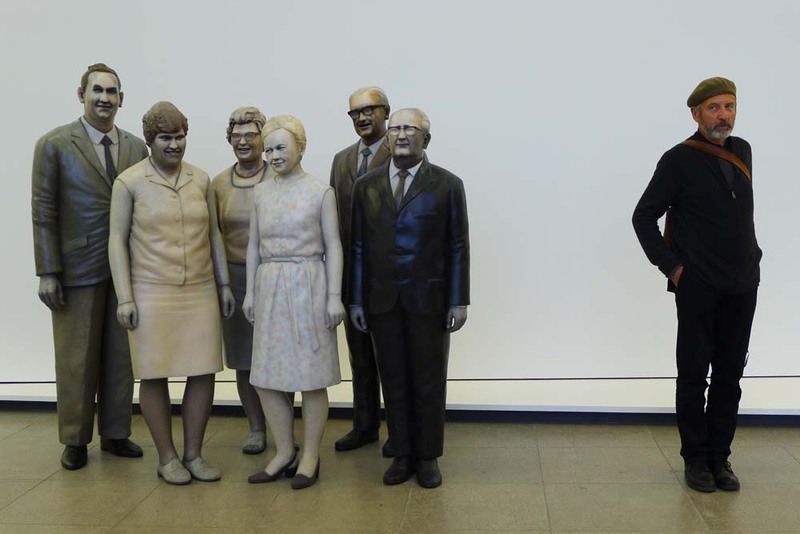 King sized “Playmobile” characters at Hamburger Bahnhof, Berlin. Martin Honert “Group Photo of Prefects” 2012. Hamburger Bahnhof, Berlin. 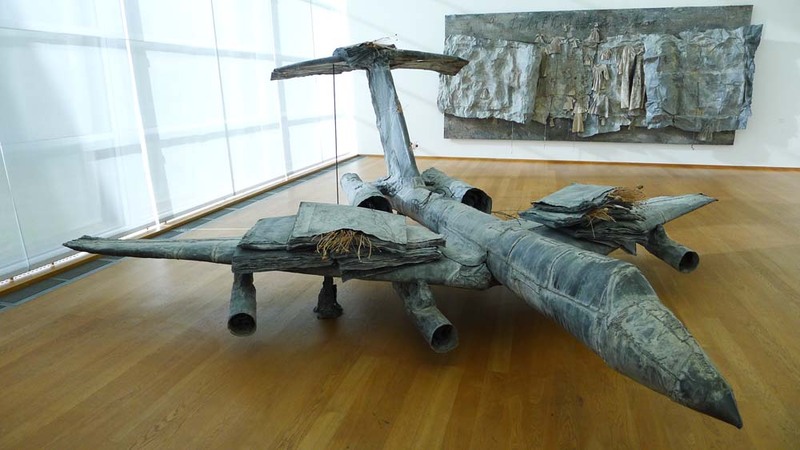 Works by artist Anselm Kieffer belong to the permanent collection at Hamburger Bahnhof. Art makes you hungry. At least that’s what popular German TV chef Sarah Weiner thinks. 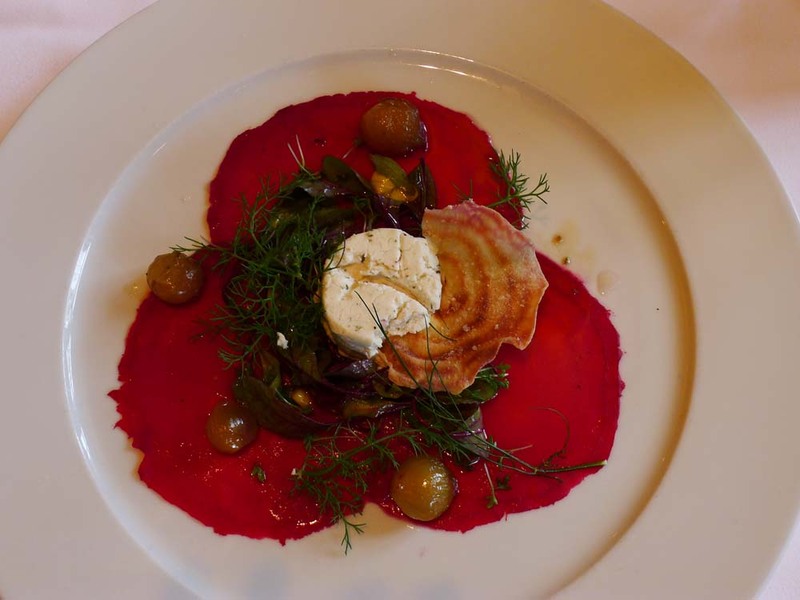 We loved our lunch at Sarah Weiner at the Hamburger Bahnhof http://www.sarahwiener.de/en/restaurants/hamburger-bahnhof/ The beets in my salad were cut so thin I could see through them. Sorry, but we ate the fabulous Wiener Schnitzel before we remembered to photograph it! 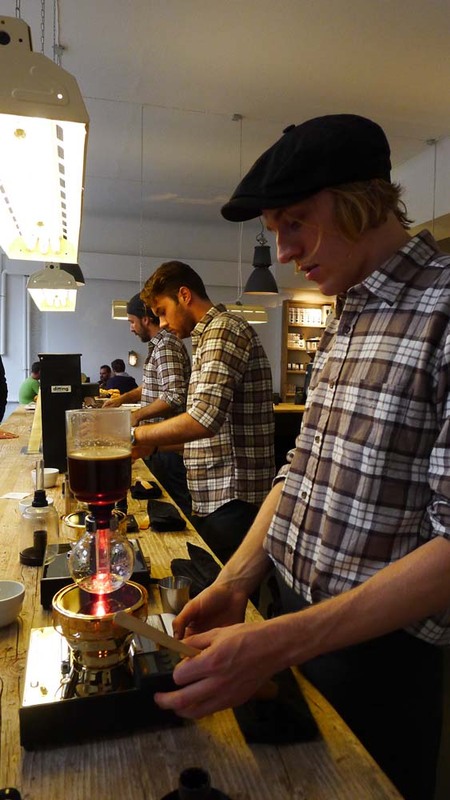 If you’re in the 4 o’clock slump after seeing all that art, try the best curated coffee in Berlin. Get yourself to The Barn in the Mitte district, not too far from Museum Island (http://thebarn.de/barn/kaffee.html). Warning! They’re a finicky bunch who think their coffee is like fine wine. Your coffee order comes with a set of strict rules: no sugar, no more than 3 oz. of milk, no baby strollers and don’t even ask to use the bathroom! If you can survive all that, the coffee and the ritual are great. 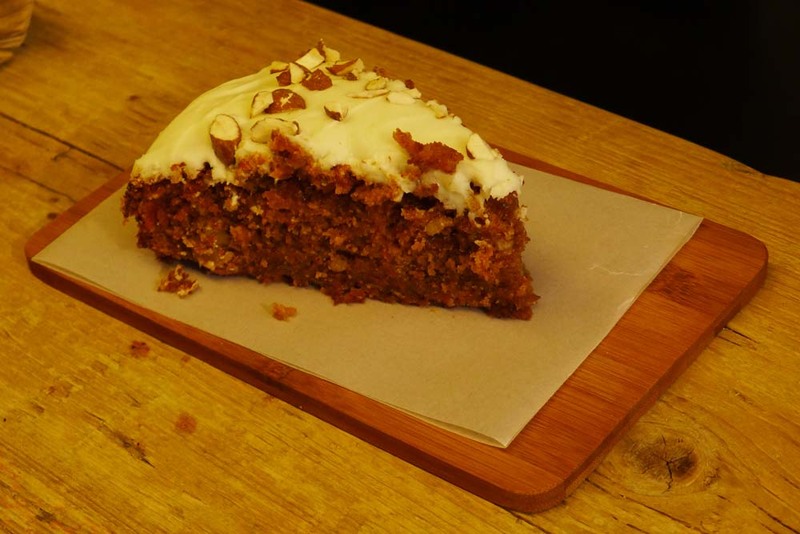 Best carrot cake in Berlin. 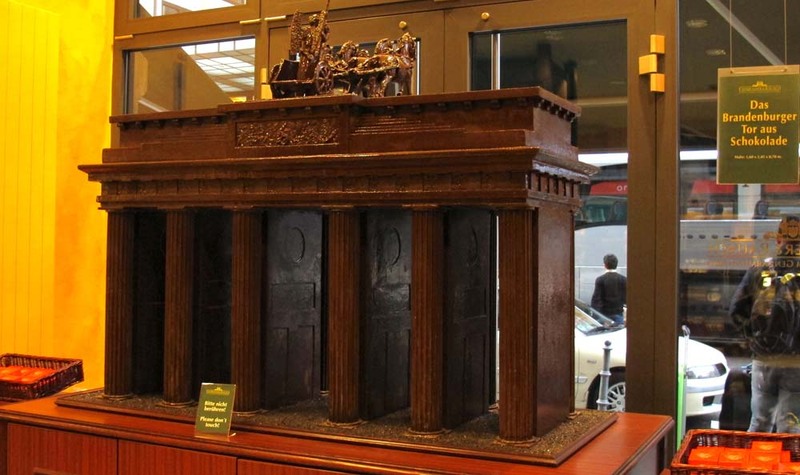 Added bonus: you get to revisit the Reichstag and the Brandenburg Gate, this time in dark chocolate. 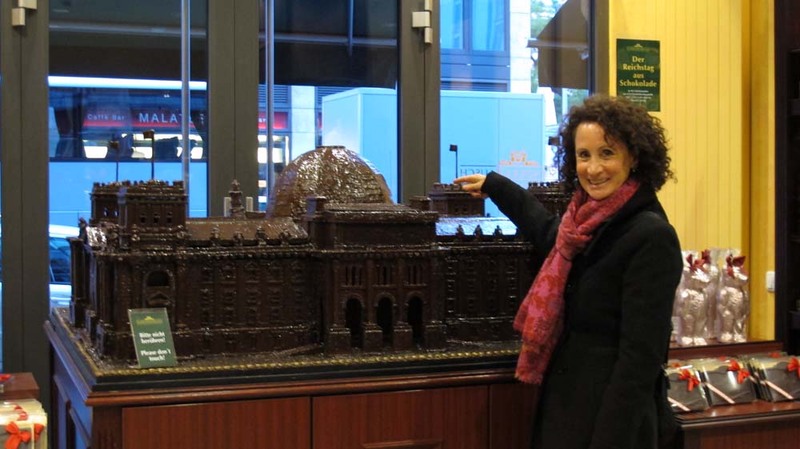 The Reichstag in chocolate. No licking! No biting the Brandenburg Gate! 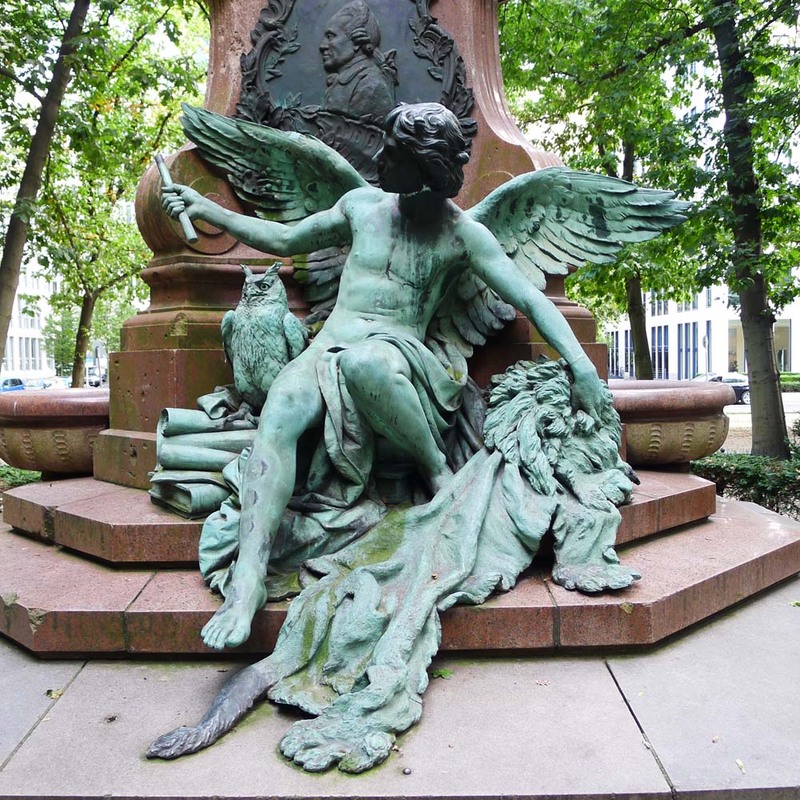 Memorial to poet Robert Lessing at Lennestraße and Tiergarten. Relocated here in 1961 when it had to be protected from the erection of the Berlin Wall.